The Islamabad police on Tuesday registered a first investigation report (FIR) against five persons — including the security guards of PML-N supreme leader Nawaz Sharif — for violently assaulting a Samaa TV cameraman a day earlier. 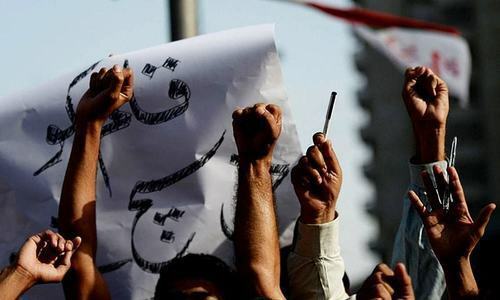 TV footage on Monday had showed Syed Wajid Ali, the cameraman, lying on the ground outside the parliament building after a security guard allegedly shoved him for coming in the way of the PML-N supreme leader while recording him. Another guard was then seen rushing towards the cameraman and kicking him squarely in the face. The guard, as per the footage, then escapes the scene in one of the vehicles of the protocol. The cameraman, who lost consciousness due to the kick, was shifted to the Pakistan Institute of Medical Sciences (Pims). According to doctors, Ali had sustained injuries on his lip, where he was administered three stitches, and on his head. According to the FIR, Wajid the cameraman said that he was attacked by two security guards upon the instruction of their chief while he was trying to take photographs of Sharif leaving the parliament building. "I became unconscious as a result of the torture," Wajid is quoted as saying in the FIR. The incident happened in the presence of Usman Cheema, Wahab Kamran and other journalists, the FIR added. Later, two of Nawaz's guards named Mansub and Mohsin were presented before a civil judge, who remanded the duo on judicial custody for 14 days. Sharif, while speaking to the media, described the incident as unfortunate and assured that "every measure will be taken in accordance with the law." The former prime minister regretted the incident but claimed that the assaulted cameraman had first hit his guard with his camera. "That is no way [to behave]," Sharif said. "[But] the cameraman had hit the guard on his forehead with his equipment." "I will aid the investigation into the matter in every way possible and I will also take action against the guards who are involved in this," Sharif said, adding that he would never want to hurt the people who are reporting about him and his family "in this difficult time." "Cameraman hit the Guard"............ Shame on you Sir ! Put him in jail . These security people always go a step ahead to prove their loyalty/please their owners. They are under instructions to protect their boss. That shows these powerful people don't have respect for humanity. There is no end to arrogance in the Sharif family. Cameramen carrying a camera hit guard. Wow! "cameraman hit the guard first". This summarises PML-N's stance on everything. So NS is the only Saint and victim in the country and everyone else is just trying to hurt the poor guy. Armed forces, IK, judiciary and now even a cameraman. PMLN; Still the old Kingsman mentality. Should change their thinking to serve not rule. These guards should be put behind bars and should be given severe punishment so that this does not happen in future! It’s never their fault, it’s always someone else fault, we get it. For nation's sake, I humbly request our government to severely punish culprits and their masterminds and end 'Gunda Gurdi' and double standards. It is government's responsibility to ensure that all citizens are protected and safe - no more double standards, one for rich and another for poor. If PM doesn't take stringent action then his credibility will be questioned and dented. Nawaz Sharif will never learn, no wonder he stands disqualified for life. Nawaz Sharif, I am waiting for the day that you will be jailed. You have caused a lot of damage to Pakistan. You have cheated big time. Height of arrogance. This is VIP mentality, where VIP is considered above the law, so his guards can do what they want. That is why I keep saying that in order to move forward Pak must eliminate the three isms from the country i.e. 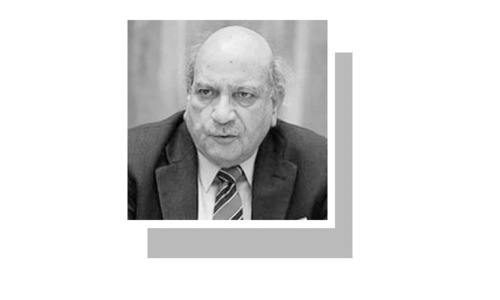 Feudalism, Mullahism and VIPism. They are all bad for a country as they all think they are above the law and there cahoots can do whatever they want including lynching. If Pak won't bring everyone under the purview of the law i.e. Generals, PM, Feudals, Mullahs, Judges, Police etc then Pak will continue to suffer. Sharif says the camera man hit the guard first with his camera. What a ridiculous statement! Nawaz Sharif needs to also be named in the FIR for encouragement of the crime by his subordinate guard and as an accomplice to this crime. PM Imran Khan should also act to Put behind bars looters and recover looted wealth of this poor nation of poor people not just Security guard. Who pays to this security man? Navaz Sharif or government? Just like the young boy crushed to death by his car , tge same thing will happen again.The assultant will disapper !! @Adnan, Please tell everyone not to hurt the poor Sharifs. Simply send them to jails and KEEP them there. @Marcus, Shariff does not care about the guards, he will get new personnel. These goons of NS will say that they were IK Men and foreign press will lap it up. FIR must contain attempt to murder against all.who were allegdely involved in such heinous crime! It is shameful. These guards must be given exemplary punishment!